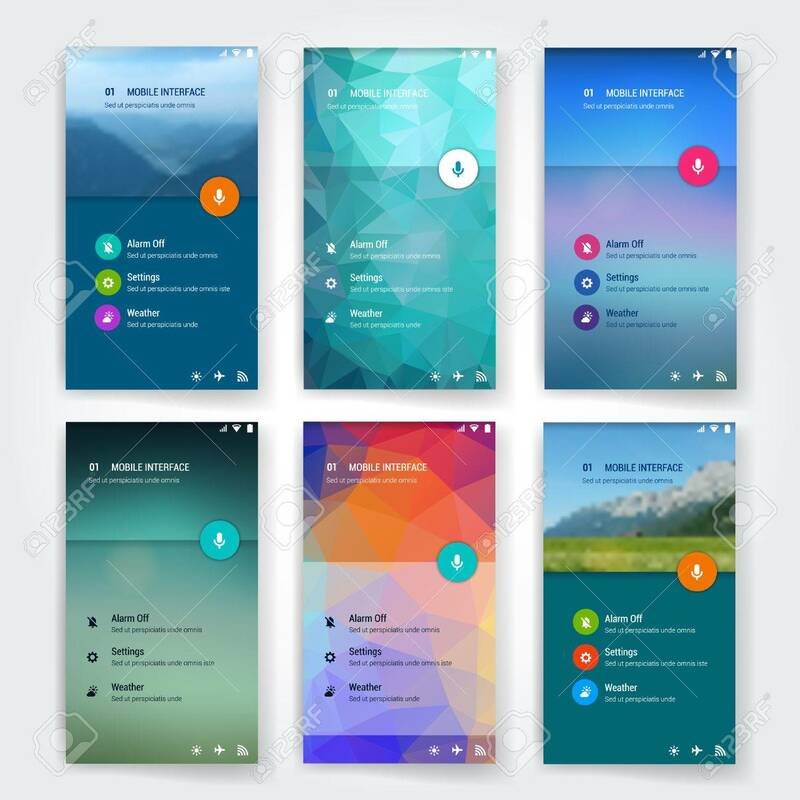 Modern Flat User Interface Screen Template For Mobile Smart Phone.. Royalty Free Cliparts, Vectors, And Stock Illustration. Image 41853602. Vector - Modern flat user interface screen template for mobile smart phone or web site. Transparent blurred material design UI with icons. Modern flat user interface screen template for mobile smart phone or web site. Transparent blurred material design UI with icons.